Today during my lunch hour at work I notice this creature eating a leaf. My curiosity was stronger than me. When I saw the way the mouth parts of this thing moved, it freaked my out. It looked to me like an alien movie, when the alien is about to devour a human pray. OH! 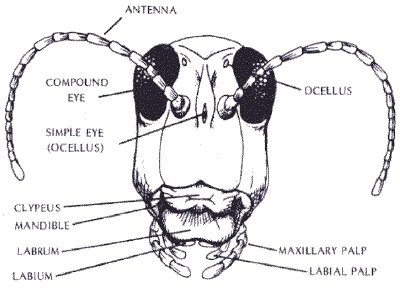 It’s formal name is Romalea guttata, here is a picture showing the name of the weird moving mouth parts. There called palps.